We developed a fast and user-friendly asset management application that effectively supports the efforts of the N8 Research Partnership to innovate and generate economic growth. 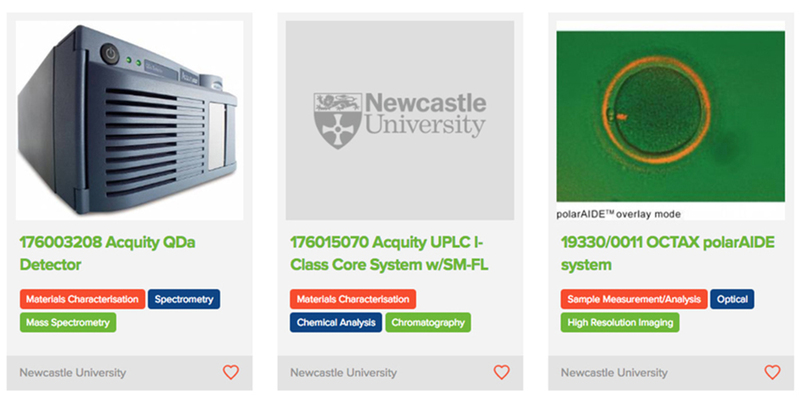 The N8 Research Partnership is a collaboration of the eight most research-intensive Universities in the North of England (Durham, Lancaster, Leeds, Liverpool, Manchester, Newcastle, Sheffield and York). The Partnership aims to maximise the impact of the powerful research base in the region by promoting innovation and driving economic growth. As part of this collaboration, the N8 network shares publicly-funded research assets. N8 had identified a need to streamline, improve and modernise the user experience in their existing online equipment inventory. One of the client’s main requirements was to significantly improve data integrity and provide a lower – and more targeted – number of results available to researchers and funding bodies. The new system also had to include scope for future development. Always maximising the use of public funds, we proposed a solution that would enhance the user experience by refining the search interface and accuracy of results, whilst maintaining the existing data structure. We started by standardising the data. After identifying some quality and consistency issues with some of the University feeds, we corrected them as we processed them. We developed a new interface for N8’s taxonomy classification system, and built it with rich filtering capabilities to make search results highly targeted. The asset management application uses a simple three-level hierarchy (designated as Class – Order – Genus) to classify equipment by its primary research function. Search functionality is predictive, based on taxonomy classifications and known keywords. Searches can also be constructed by adding multiple criterion, allowing users to identify the most suitable results. The database is built in a way that allows each University to provide its own XML RDF feed of equipment, with the portal periodically crawling the feeds and collating all information into one large searchable database, adding consistency to each of the University feeds. Once equipment has been identified, the asset management application provides information on the piece as well as who in the Department is responsible for its administration. Each piece of equipment is tagged, creating associations that further contribute to a better user experience. The database, which can hold thousands of items, periodically updates itself from the different University feeds. Currently the application offers in excess of 5,000 active pieces of equipment, and continues to grow. “Asset sharing in the University sector is a growing and important area for driving efficiency and value for money. There are a number of complicated factors that affect rates of sharing and one of these is ease of discovery.